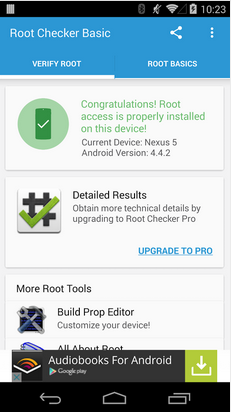 Verify proper root (superuser) access is configured and operational using Root Checker (Basic)! 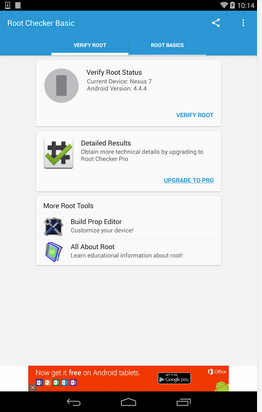 Free, fast, and easy, Root Checker shows the user whether or not root access is properly installed and operational. 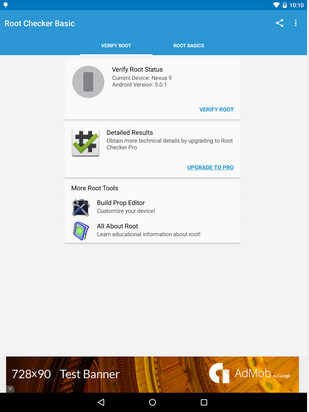 This application provides even the newest Android user with a simple method to check their device for root (administrator or superuser) access. The application provides a very simple user interface that easily notifies the user whether or not they have properly setup root access. 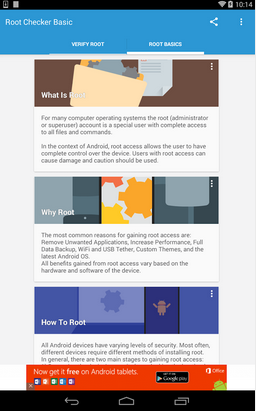 This application will test the device for root access using a very simple, quick, and reliable method that has been successful for over 10M Android devices. The su binary is the most common binary used on Android devices to grant and manage root access. Root Checker will check and verify that the su binary is located in a standard location on the device. In addition, Root Checker will verify that the su binary is properly functioning in granting root access. Many times users experience issues along the path of installing, configuring, and gaining root access. For some users the process can seem complex while for others the process can seem simple. Regardless of the user’s technical skill set, Root Checker, will quickly and correctly verify whether or not root access is 100% functioning. The process of confirming root access is sometimes known by other terms such as, gaining superuser access or gaining administrator access. Root Checker covers all these terms as they relate to one core function, being able to execute commands through the su binary with root access. If the Superuser management applications (SuperSU, etc.) are installed and working properly, these applications will prompt the user to accept or deny the root access request from Root Checker. 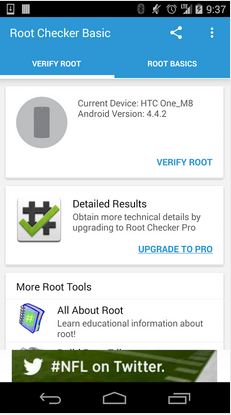 Accepting the request will allow Root Checker to check for root access. Denying the request will result in Root Checker reporting no root access. 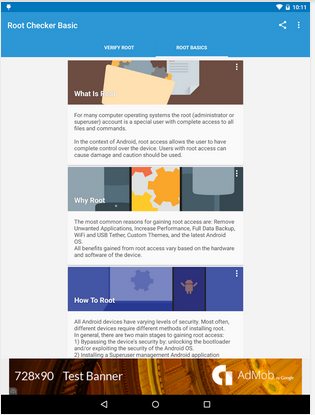 You can get free APK of this app from the link given below! 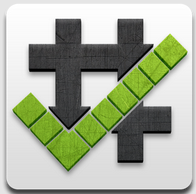 Get this app on Google Play Store from the link below!